This Seaside Squares Lap Quilt designed by Jamie Sanders of Scattered Thoughts of a Crafty Mom, The Tutorial is available for free. Jamie shows you how to make an easy square in square quilt block from a jelly roll! 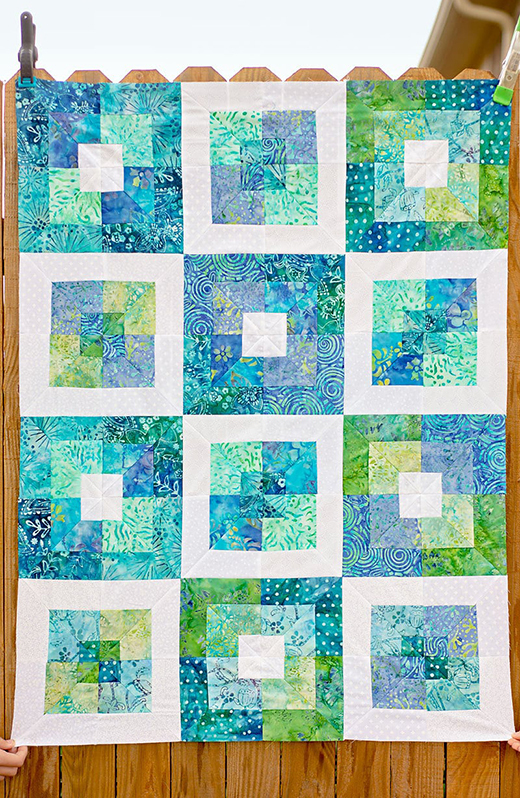 This Seaside Squares quilt pattern is put together completely with square in square quilt blocks.